With its streamlined design and minimalist materials, this bracelet is both classic and contemporary. 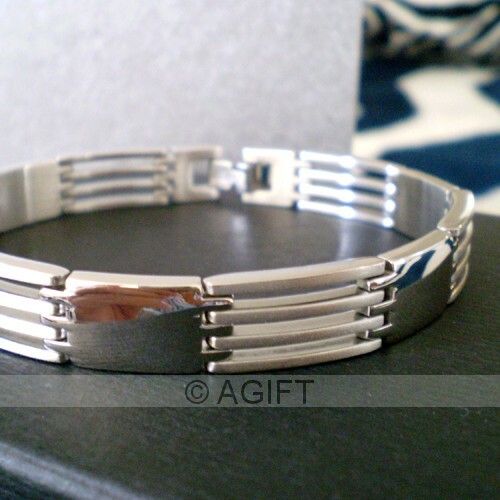 The links are crafted from stainless steel for pleasing contrast and minimalist style. Individual links may be removed to allow for custom sizing.